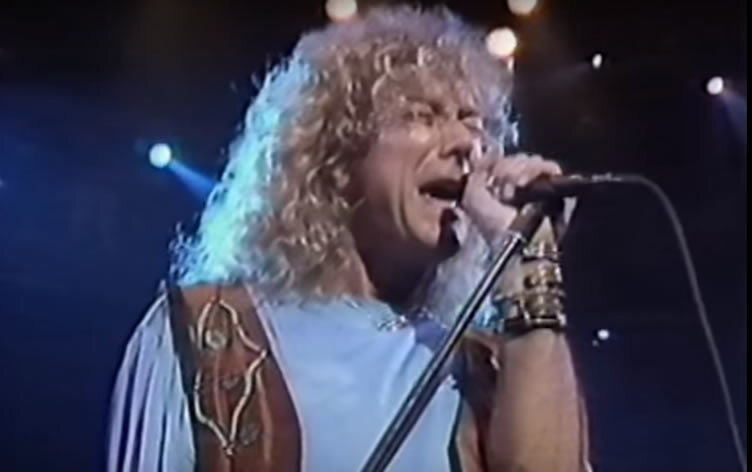 Robert Plant launched his post-Led Zeppelin solo career with two fine albums, Pictures at Eleven, in 1982 and, The Principle of Moments , in 1983. His career then got a little murky in the mid-1980s with the short-lived cover band The Honeydrippers and his bizzare third album Shaken and Stirred. His fourth album, 1988’s Now and Zen, was a career renaissance as the vocalist and songwriter once again found his groove in eighties pop. The album made the top 10 in both the U.S. and the U.K. and has been certified triple platinum. The album also featured Zeppelin band mate Jimmy Page who performed on a Plant solo album for the first time (a favor Plant would return later in the year on Page’s Outrider album). Keyboardist Phil Johnstone co-produced and co-wrote most of the material with Plant. Johnstone was part of a whole new band that Plant employed for this album after pretty much using the same personnel on all of his first three albums. Plant discovered Johnstone and engineer Dave Barrett after hearing a demo tape by the pair. The resulting sound is a stylistic fusion that seamlessly combines hard rock and guitar blues with the synth-driven pop of the eighties and the then-new computer synchronization techniques. 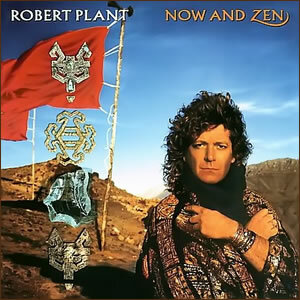 Now and Zen is also a vocal masterpiece for Plant who strikes his “mature” voice better than on any other of his eighties material. Lyrically, Plant’s songs have substance, intelligence and taste, making this a solo career high point in that area as well. “Heaven Knows” rolls in like a fast moving storm and immediately establishes the underlying groove of Now and Zen. The song is synth heavy, but not to the point of being ludicrous like on Shaken n’ Stirred, but does contain the first appearance by Page with a dramatic guitar solo. The song topped mainstream rock charts. “Dance On My Own” starts with slight background whistling and breaks into a call-and return verse between Plant and guitarist Doug Boyle which is almost like a cheerleading chant. Overall, this song draws from good elements of all three of Plant’s previous solo albums; interesting modern guitar riffs, unique “Zeppelin-light” lead vocals, and a pleasant female backing vocal chorus. A sterile piano guides the sound collage-ridden “Tall Cool One”, which became the top pop hit off the album. The song was Plant and Page’s response to the Beastie Boys’ unauthorized sampling of Led Zeppelin material, by sampling their own music from Zeppelin tracks “Whole Lotta Love”, “The Ocean”, “Black Dog”, “Custard Pie”, and “When the Levee Breaks”. Aside from the group’s short reunion at Live Aid in 1985, this was the first time in Plant’s solo career that he openly embraced his former band. Otherwise, “Tall Cool One” is a rather typical pop song with some really corny moments when Johnstone does the bridge rap. “The Way I Feel” completes side one as the moodiest song on the side with great atmosphere by Boyle and Johnstone beneath Plant’s soaring vocals and a fretless bass by Phil Scragg. Early on the second side of Now and Zen is really where Plant has his musical renaissance. “Helen of Troy” comes in like a near heavy-metal tune with layered guitars above a strong bass before breaking into more pop elements during the rest of the song. A funky, syncopated rhythm persists throughout the song under all those great guitars, the first of two most guitar-centric songs on the album. “Billy’s Revenge” follows with a do-wop intro and pure rock song afterwards. Aside from a couple of short but great synth organ sections by Johnstone, this song is otherwise dominated by Boyle’s guitar while Plant’s vocals reach their highest register on the album. The frantic song comes to a crashing end, leading into the third of three great songs. “Ship of Fools” is one of Plant’s all time classics and a true testament to his best eighties style. It is the high water mark of the album in mood, vocals, lyrics and Boyle’s guitars are at their finest, probably an all-time career highlight for him. A slight synth percussion works best on the mood of this song and the subtle instrumental outro is done with great taste, leaving the listener yearning for more. Unfortunately, the remainder of the album does not come close to the quality of these past three songs. “Why” was co-written by engineer Robert Crash, who programmed a cheesy synth riff that prevents the song from be taken seriously. The closer “White, Clean and Neat” brings the album’s quality up slightly as an original with almost beat-like poetry with good, measured guitar lines. But the corny bridge section with spoken lines that eerily echoes the worst of Shakin’ and Stirred, leaving the overall album just shy of great. With the critical and commercial success of Now and Zen, Robert Plant was at a high point of his solo career. Also, he further embraced his Zeppelin past by performing songs from the band on his 1988 and subsequent tours, bring his live career a balance which it had lacked for years.